Smartphones changed the dimension of how we communicate but also modified the gaming arena substantially. So it was only a matter of time when smart phones eventually served the purpose of a gaming console as well. Iron Man, the popular superhero created by Marvel comics after being immortalized on the silver screen became a part of the gaming industry too. 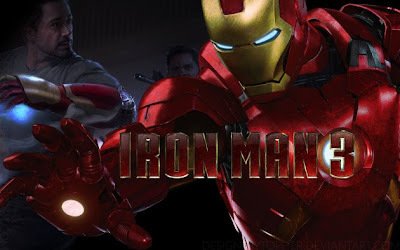 Thus the eventuality of role playing your favorite super hero in a game on smartphones became a vivid reality with the release of Iron Man 3 game. This game is based on the recently released Iron Man 3 movie and is enjoying a positive vibe up till now from all quarters. Released in end of April 2013; Iron Man 3 enables fans of Tony stark to use his more than one and half a dozen armor designs while being the Iron Man. The familiar clash of good versus evil is very much present in the game as it is in the newly released movie. The wicked forces of A.I.M are fought by Iron Man in his traditional flamboyant style with all the modern weaponry that Stark Industries can fill up. Operational in a temple run mode; you as Iron Man will be on the move non stop blasting away all your enemies with an amazing arsenal. The Graphics are extremely well done and deserve appreciation on the whole. Even minute details have not been ignored thus enhancing the pleasure and turning the entire game into an obsession for you. It is a very fast paced game and truly engaging; as you progress striving to unlock Iron Man suits. The reviews so far by players is encouraging but as more time passes more people will get hooked on to this superb action game with amazing 3D graphics. Once you have downloaded and installed it on your smart phones; there is no way where you would want to rest till you have wiped the ‘world’ of all evil with Tony Stark at his best. The geographical settings of the game range from China, New York and to the shores of Malibu. The evil figures of Living Laser and Crimson Dynamo are not the only worthy adversaries that will be encountered by Iron Man during his eternal fight against wicked forces. M.O.D.O.K and Ezekiel the other two bad guys are also ready to give our hero a tough time. You will thoroughly enjoy ripping apart all of these rogues in a befitting manner during your ‘play time’. Iron Man 3 is not exactly a quick game; it is lengthy and requires time to complete the challenging tasks at hand. This is a ‘free game’ which is actually a bit misleading. It is true that you can acquire and play it without spending a dime but if you wish to truly enjoy the experience; you need to purchase upgrades in weaponry, armor suits and power ups which are available for almost 100 USD. This factor may reduce the interest of casual players but if you are an Iron Man fan this game is definitely made for you. It is an action based android game that has no close competitors and has the ability to get you hooked on to Tony Stark and his legacy.